A few months back there was an article in the newspaper about an Ethiopian maid who succumbed to her injuries after a gas leak accident at her sponsor’s house in Dubai. Shocked, I read the details as such incidents are quite rare nowadays. Towards the end of the article when her sponsor’s name caught my eye I was even more shaken. Masood Salem is one of us….a popular blogger with whom I interacted all the time. I quickly went to his page to see if he had written anything about the issue. It was all there in detail. I didn't sleep that night. Somehow there is a difference between reading about a random person in the newspaper and actually knowing the people involved in the tragedy. The fact that it happened in a house of somebody I know made it all the more horrific for me. The whole incident kept playing in my mind and all along I was thinking ‘It could happen to anyone of us’. I contacted Masood to offer my support. Later he wrote back to me about the whole incident and what the family went through. He stressed how important it was for all of us to take a few precautions which can go a long way in averting a disaster. We all take the gas cylinder which is innocuously sitting in one corner of the kitchen for granted. In reality it is a killer if not handled properly. The reason we prefer to use gas is primarily because it is cost-efficient and also relatively safe if we take the right protection measures. However gas stoves/ovens can emit dangerous gases which if it doesn't burn properly or if not adequately vented, and can result in explosions & tragedy. Masood suggested simple precautions like switching off the regulator every night before going to sleep and leaving the exhaust fan on. I went on the net and read up some more about it and am sharing it with you. It always pays to be aware. Be alert. 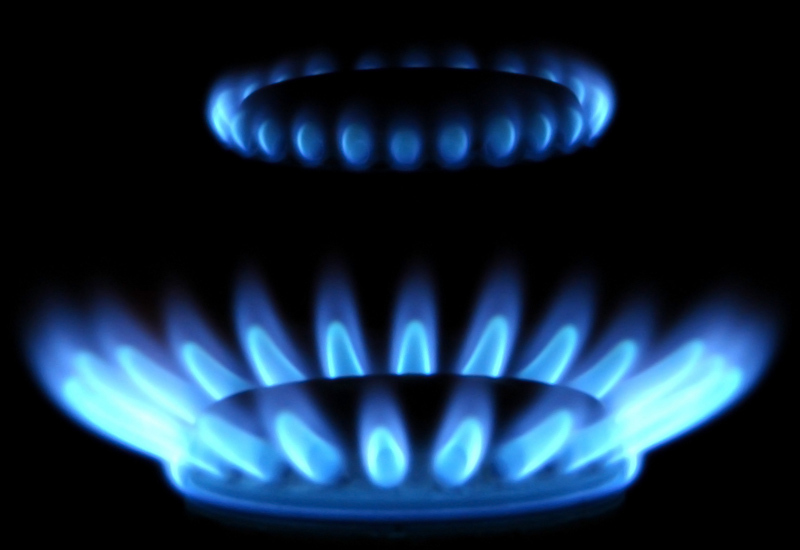 Natural gas is a colourless and odourless gas so it is very difficult to detect it immediately. But there is an addictive in it called mercaptan that gives out a smell similar to rotten eggs or rotten cabbage. As soon as we smell it the immediate step we have to take is open all windows and ventilators. Get out of the house as soon as possible and call the fire department. Sometimes these leaks can also show up in the form of a white cloud or mist. Also look for bubbles in standing water. Symptoms can range from a headache, nausea and burning sensation in eyes and nose. Dizziness and weakness are also possible indicators. There is a simple test you can do to check to confirm a leak. Mix some detergent in water and rub it with a brush on the gas pipe. If there is a leak you will see bubbles arising from the area[reminds me of the puncture repair on a bicycle tire]. Call in an expert to assess the problem. Make sure you get an expert atleast once a year to check your gas stove/oven, gas pipes and accessories and replace anything looking remotely suspicious. Incase of a suspected leak, avoid using anything connected with electricity and even the telephone as this could create a spark and cause a fire. Always leave a window or ventilator open. Switch off the regulator at nights after you are done with cooking, switch it off when you go out whether for a short while or for a holiday. Never use the gas stove for house heating. Risks of carbon monoxide levels increase will be there & also the risk of a fire from an unattended oven. And not the least if you see a worn-out gas rubber tube, even a suspicion of a cut on the tube, call in a professional to rule out any notion of leaks & change the tube immediately. Please don’t keep it for another day. It is a matter of life and death. u r right.. it is very dangerous. I will never forget the sight of a house whose entire rear wall of the house was blown away in a gas leak accident. That was Masood's last post. I wonder how they are and what happened.